Understanding the history of the Earth's climate and atmosphere is not simply an intellectual curiosity; it is a necessity if we hope to predict and prepare for the impact of human-induced global warming on the global environment. Ice sheets form and grow as a result of the precipitation, accumulation, and compression of snow into ice over hundreds of thousands of years. During this process, tiny bubbles of air get trapped in successive layers of ice. Rich in information, each layer is a sample of the atmosphere's composition and concentration of greenhouse gases at the time. Thus, ice sheets are our most precious climate archives, and ice cores are the key to unlocking them. But not all ice sheets are alike: The higher the rate of snow precipitation, the more dynamic and rapid the flow of ice from the centre of the ice sheet to the coast where it calves into icebergs. This is why the Greenland Ice Sheet, located in a relatively humid region, does not contain ice older than some 300,000 years, and why the East Antarctic Ice Sheet, one of the driest regions on Earth (at its centre), is thought to contain ice between one and one and a half million years old. It is also why ice cores retrieved from the Greenland ice sheet have a greater resolution (or more detail for any given year), than those retrieved from Antarctica. Over the past two decades, glaciologist and paleo-climatologists from Europe, Russia, the US, and Japan have been retrieving ice cores from both Greenland and Antarctica, most of them extending to an ice depth of 3,000 metres or more. Currently, the ice cores with the highest resolution of the past one to two thousand years are the GRIP (Greenland Ice Core Project), and North GRIP (NGRIP) ice cores. The ones that go the furthest back in time, however, are the EPICA-Dome C ice core (800,000 years), the Dome Fuji ice core (720,000 years), and the Vostok ice core (420,000 years) - all of them retrieved from the East Antarctic Ice Sheet. Even as the data obtained from these ice cores is still being analyzed, however, the quest is now on for an ice core that goes even further back in time, to a watershed moment in the Earth's climate history when ice ages, which had been occurring on average every 41,000 years, suddenly and dramatically changed their pattern and began to occur only every 100,000 years. This rupture is thought to have occurred one million years ago - within the range of what is thought to be Antarctica's oldest ice - and if better understood, could help us predict if, when, and how it might happen again. But the multi-million dollar question, of course, is where to drill and find this ancient ice? The key to answering this question lies in three factors: The thickness of the ice sheet, the rate of precipitation, and the nature of the bedrock topography beneath it. Because the East Antarctic Ice Sheet rests on continental bedrock that includes hills, mountain ranges, and even lakes, in certain regions, its base can get very mixed up and disrupted as it flows towards the coastline, making it impossible to date or to extract information from the lower strata. Furthermore, in certain locations, the base of the ice sheet is melted (or slushy). This is because the ice sheet acts as a giant insulator, trapping enough geothermal heat emanating from the Earth's core for it to melt where it lies closest to the bedrock. In their quest to retrieve an ice core that goes back a million years or more, scientists have drawn up a number of Antarctic maps, highlighting the most likely regions, with the best candidate thought almost unanimously to be the Dome A region (the culminating point of the East Antarctic Ice Sheet). But even with its extremely low precipitation (1.25 to 1.5 centimetres of its equivalent in water per year - mostly by diamond dust sublimation fallen directly from the troposphere), and its ice thickness of more than 3,000 metres, Dome A is not without its problems: Beneath it lie the Gamburtsev Mountains, comparable in size to the European Alps, which have a topography that can vary dramatically across just a few kilometres. It is in this context that Chinese scientists have since 2005 used overland traverses to Dome A to carry out various high-resolution RADAR surveys of the bedrock beneath the ice sheet to try and pinpoint the best spot for drilling a deep ice core - and by the same token also the best place to build the new Dome A Kunlun Station, which has as one of its main purposes to support the drilling effort. Last austral summer, Dr. Sun Bo, leader of the 2007-08 Dome A traverse, identified a location some 7.5 kilometres from the summit of Dome A. Here the bedrock topography appears to be sufficiently even for obtaining a readable climate record stretching right down to the base of the ice sheet. The 2008-09 Dome A expedition team will build Kunlun Station in this location. The identification of this site and the building of Kunlun Station should be seen as just a beginning, with many more questions and possibilities still needing consideration and evaluation. For one thing, the drilling of a deep ice core at Dome A may not begin before 2012 and is probably too big, technical, and expensive a project for one nation to carry out and finance by itself. Although China is clearly leading the way (not least by providing a logistical platform at Dome A) according to Dr. Huigen Yang, Director of the Polar Research Institute of China, his institute will be seeking international partnerships with one or more of the specialised institutions, scientists and engineers who developed the very elaborate technology and know-how necessary to retrieve the EPICA, Dome F, and Vostok ice cores. However planning is still in its early stages. The exact nature of these collaborations has not been worked out yet, and the right partners have not been identified. In the first instance, over the next couple of years China will use a Japanese drill valued for its speed and light weight to extract a 500-metre ice core in order to evaluate the age of the ice, as well as snow layering and stratification at Dome A: A progress on the 110-metre ice core already extracted by Li Yuansheng in 2005. 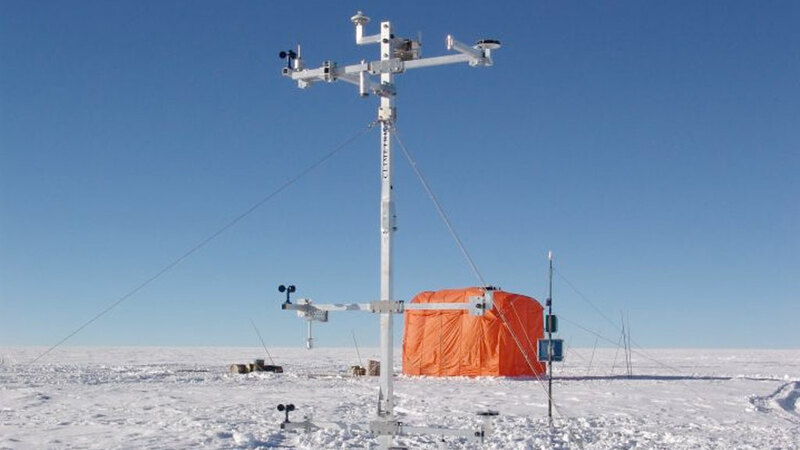 Simultaneously, a wealth of valuable new data will become available from the US-lead, International Polar Year project, AGAP (Antarctic Gamburtsev Province - see interview with Dr. Robin Bell), which China is assisting logistically. This austral summer, AGAP will use a range of airborne instruments such as RADAR, laser, and magnetic devices installed on board Twin Otter aircraft to image everything from the top to the bottom of the ice sheet across the entire Gamburtsev region stretching well beyond Dome A. Depending on the findings, this should help draw up a long-term drilling strategy for maximising potential within the Dome A region in parallel with other potential drilling sites across East Antarctica, with a view to obtaining the most complete and comprehensive set of climate records achievable. To this effect, Li Yuansheng is a member of the International Partnership in Ice Core Science (IPICS), whose Co-Chair, Eric Wolf (British Antarctic Survey), recently put forward the idea of extracting not one, but two cores so as to maximise chances for obtaining the oldest ice. The proposal is to extract one complete core from Dome A and a second core, covering only the bottom (or oldest) half of the ice sheet from another location tens or hundreds of kilometres away. For the latter core they will use a rapid heat drill to pierce through the top half of the sheet without bothering to retrieve this section of the core. Whatever is decided, and whoever ends up collaborating with China to extract one or more deep ice cores from the Dome A region, there is no doubt that - as is the rule with all ice core drilling - the technical difficulties will be considerable, and the margin for error very small. Only this time, they will be compounded by the extreme environment of Dome A, which lies at an altitude 4,094 metres and has an even lower air pressure due to its location close to the South Pole. What's more, once the core (or cores) are retrieved and taken back to a dedicated cold storage facility currently being built in the new Polar Research Institute of China complex in Shanghai, it will only be the start of months and/or years of analysis and dating for leading national and international specialists so that this frozen archive of ancient air bubbles can finally begin to reveal all its vital secrets - secrets that can help us better understand the past so we can better predict the future of the Earth's climate.